I’ve been needing to add some vector art to my portfolio, so I took the opportunity to vectorize a recent sketch. 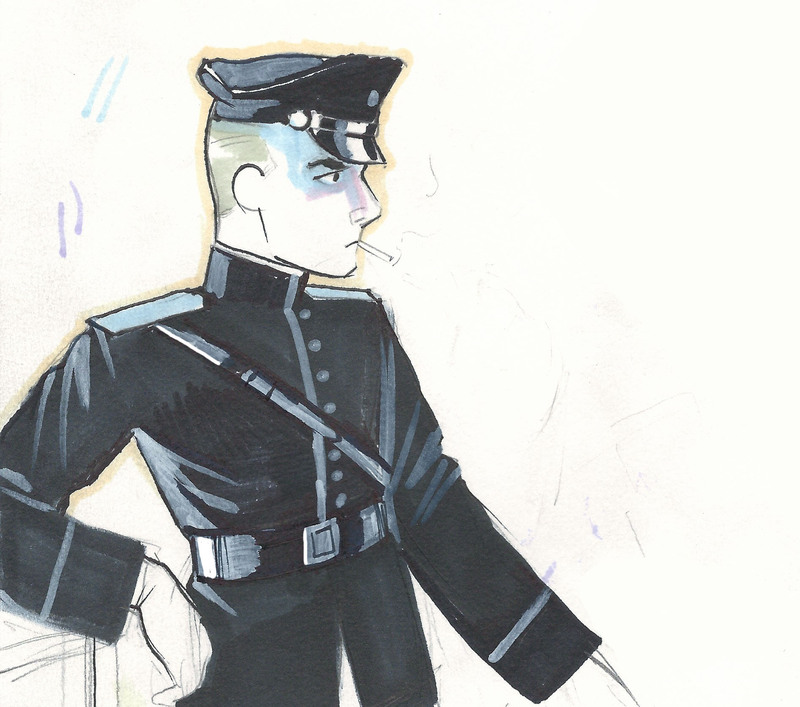 The subject matter dates back to my childhood, when I used to be obsessed with the concept of uniforms and Sam Browne belts and being a badass. I decided to go with a flat, simple style for everything except the face and visor, to which I added some token detail to in order to create a sense of contrast. 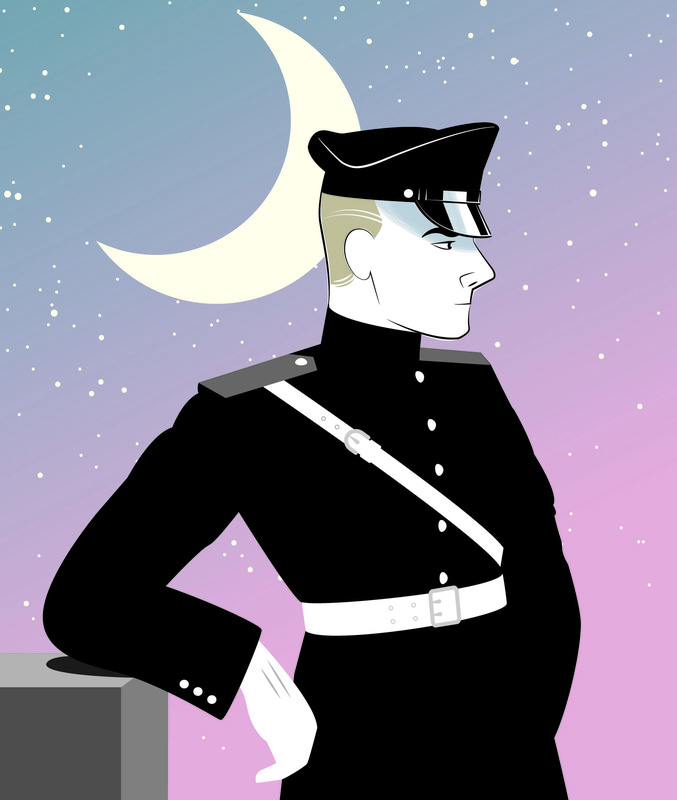 The evening sky in the background is the first time I’ve ever used a gradient in a finished illustration, and I think it won’t be the last. Everything is vectorized, except for the grey shadows on his visor and over his forehead, which I added in photoshop. Below is the initial sketch for comparison. His mood seems to have improved considerably since I took away his cigarette . . .